There are some things that we think about dog nutrition that may or may not be true. Regardless, diet is a critical part of the health and welfare of your dog, so it’s something that should be taken seriously. Setting up healthy eating habits with our dogs can help them live longer and happier lives. Using a wide variety of nutritious foods is a way to make sure that your dog is getting a variety of foods. From foods to avoid to foods to add, here are five dog nutrition facts you have to know. Like some people, some dogs are sensitive to gluten. It can cause them to have inflammation in their intestines, a very unpleasant thing for both dog and owner. This is not a typical allergy, so it is unlikely that your dog will have this problem. Be aware, however, that your dog might be gluten intolerant and be ready to adapt. As with gluten, some dogs are lactose intolerant, which will make them gassy. Although some dogs are not lactose intolerant, they should still only eat dairy on occasion. Cottage cheese is fairly easy for dogs to digest, but milk can be hard even for dogs that aren’t lactose intolerant to digest. Ice cream is the most problematic dairy food because the flavor must also be dog-friendly. Organic products allow you as the owner to know what you’re feeding your dog and the process that went into preparing it. There are also fewer chemicals, if any, involved in organic products. Since there is a growing concern that chemicals and genetically changed foods might change the genes of those eating them, using organic products can be the safest option. Some recommend using apple cider vinegar to wash produce that is not organic. 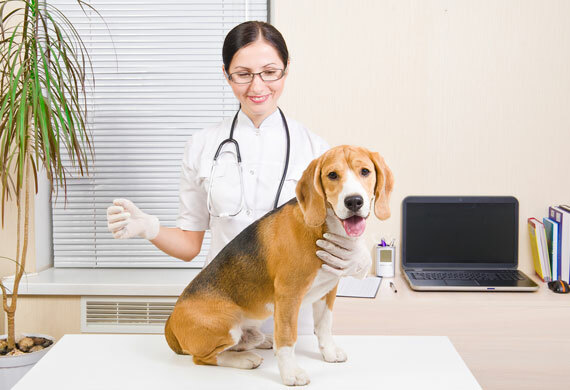 The emphasis on organic is also translated to any supplements that you want to give your dog. The fewer chemicals digested, many say, the better. Some supplements like Canna-Pet, are made up of natural ingredients like CBD and help with pain. The use of organic materials is in contrast to the regular painkillers available. When it comes to giving dogs treats, they don’t really need that many, so use them sparingly. Treats should be a reward, not an expected part of the day. When it comes to portions, give your dog what he or she needs to eat. If you have concerns about your dog’s weight ask your vet and they can help you make a plan to cut back or increase your dog’s food supply. Having controlled and steady portions can be very helpful in maintaining a dog’s weight. Finally, there are some times of the day that are better for feeding your dog. Mornings give them time to work the meal off, while evenings do not. Dogs have digestive tracts that are very different than those of a human. While they can digest some things that humans can, there are some things that they cannot. Dogs and humans get allergies and interact with modified foods; they can impact us both in the same ways.